It’s pretty likely you’re always looking for new ways to introduce your brand to a larger audience. Social media has proven to be an effective channel, but you want to optimize and enhance your social media marketing efforts. Whether you’re targeting increased engagement or more social shares, videos may be the perfect solution for your brand. 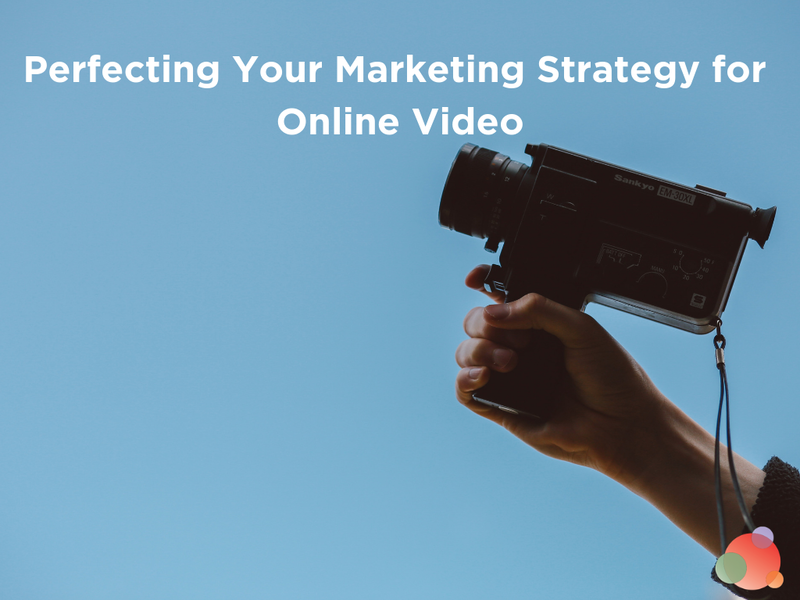 In this article, you’ll discover why videos should be included in your social media marketing campaigns. You’ll also find out how you can optimize your social media videos for the best results. Why Use Videos in Social Media Marketing? The biggest question you probably have right now is why use videos on social media. Your image posts and links are already performing quite well, so why change anything? If you really want to grow your business, you need to optimize your social media marketing efforts, and videos are the perfect solution. A study by Social Bakers shows video posts have significantly more effective on your social media reach than any other type of post. Posting a video instead of an image can boost your reach by 135 percent. This study also shows video posts have the highest reach for brand fans. While videos are able to get an average fan reach of six percent, images only get two percent. That’s a 148 percent increase in fan reach with the help of videos. Videos also offer an effective solution for conveying complex information in a simple, easy-to-understand way. For instance, you probably can’t explain the details of a new feature using only 140 characters on Twitter, but you can thoroughly explain your new feature in a two minute video. If your video is interesting and enjoyable, people will be more likely to buy your products. Tubular Insights reported that 73 percent of consumers are more likely to make a purchase if they watch a video explaining the product or service. In the survey, they also found videos help 96 percent of consumers in making a purchase decision online. Videos can be very effective for your social media performance, but all videos are not created equal. For your social media marketing campaign to be successful, you need to create videos that engage your audience. Here are five ways to optimize your social media videos. Your brand likely has a presence across multiple social media platforms and each platform has a unique audience. This means you’ll need to optimize your videos for each of those platforms, based on its users. Have a new product feature to announce? For Instagram and Snapchat, you can create a short video to announce the feature and create buzz. For Facebook and YouTube, you can create a longer video that goes into detail about the new feature. No matter which industry you’re in or what your video is about, you can adapt it to appeal to the audience of each social media platform. 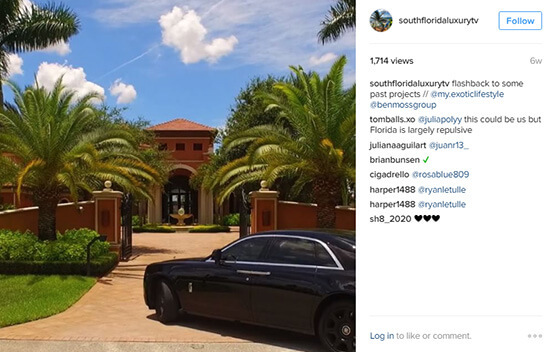 On Instagram, South Florida Luxury TV entertains followers with 360-degree views of properties and time-lapse videos. 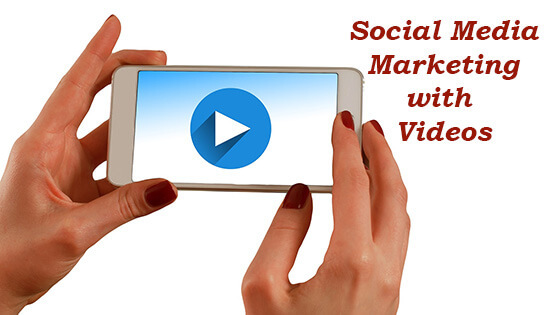 Social media video marketing isn’t just about sharing videos regularly. You can now add a featured video that is prominently displayed on your brand’s Facebook page. If you want to captivate your Facebook visitors immediately, you need to make sure they see your most interesting videos first. As you can see in the image below from BuzzSumo, your featured video will appear in the ‘About’ section. Videos are much more engaging than text. 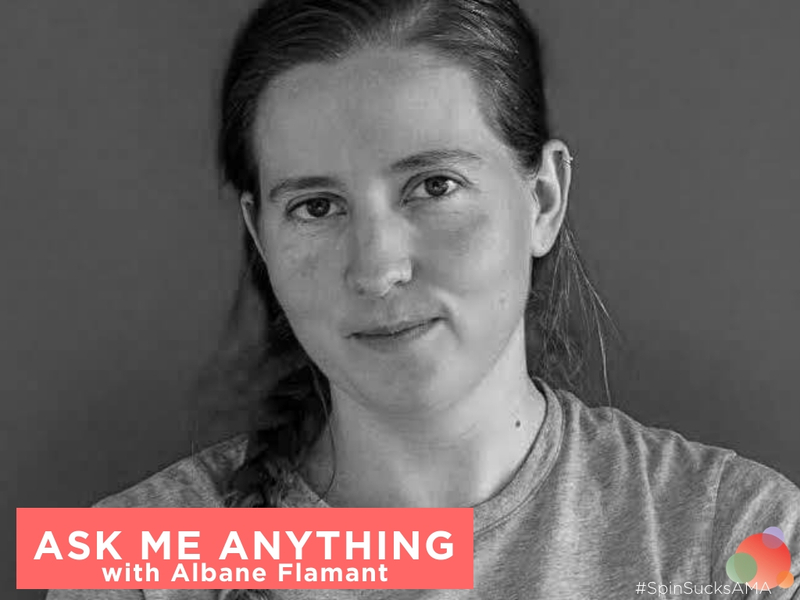 Make the most of this fact by creating Q&A videos to engage your audience while answering their questions. 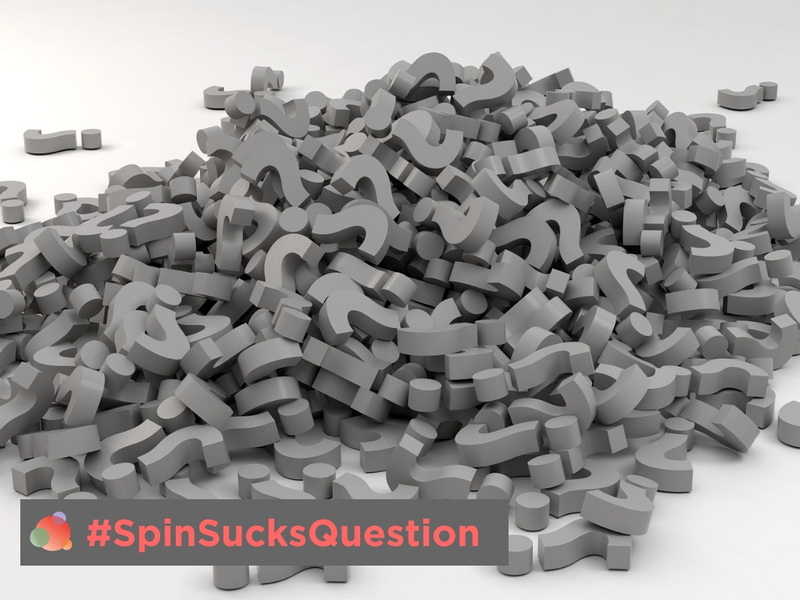 Collect customer queries on social media and have your team answer those questions in videos. You could even create an entire YouTube channel dedicated to providing customer support like Warby Parker does. 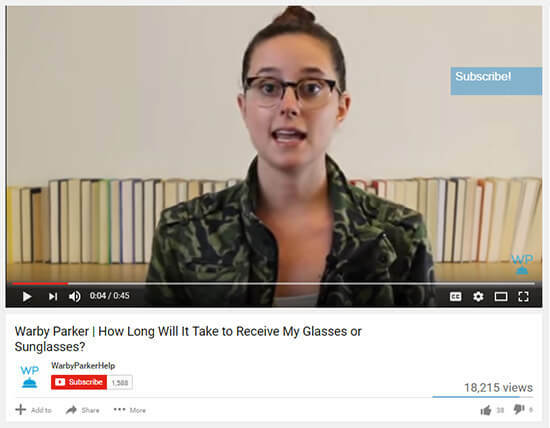 On their Help channel, Warby Parker posts videos answering common questions from customers and video updates on their latest collections. No.4: Have Something to Announce? Create a Teaser Video! When you’re introducing something new–a new feature, product, or partnership–posting a teaser video on social media is an excellent way to make the announcement. Teaser videos help you drive leads and pique the curiosity of your followers, making them look forward to what you’re offering. 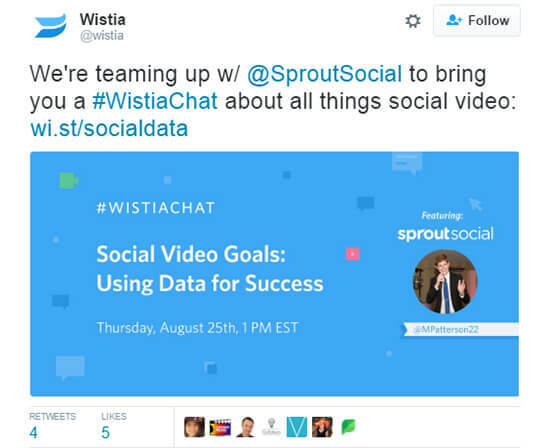 Wistia shared a video on Twitter to promote the introduction of Wistia Chat in partnership with Sprout Social. 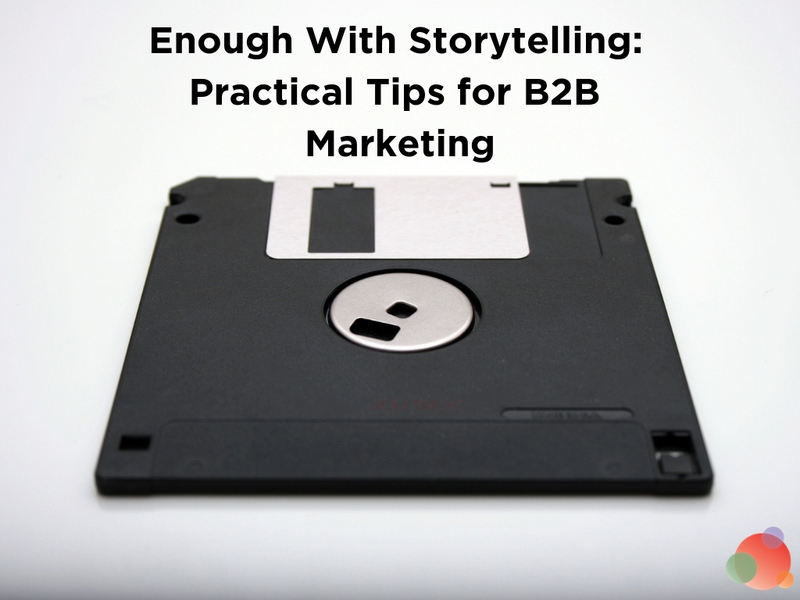 Optimize your social media videos by telling your audience a story that will intrigue them. Make the most of storytelling techniques, showcasing your brand or product from a unique angle. Ideally, try to make it relatable so your audience will feel an emotional connection. A study published in Psychological Science discovered people are more likely to share videos that trigger emotions characterized by high arousal. These emotions are usually positive, such as happiness, but can also be negative, such as anxiety, anger, or fear. 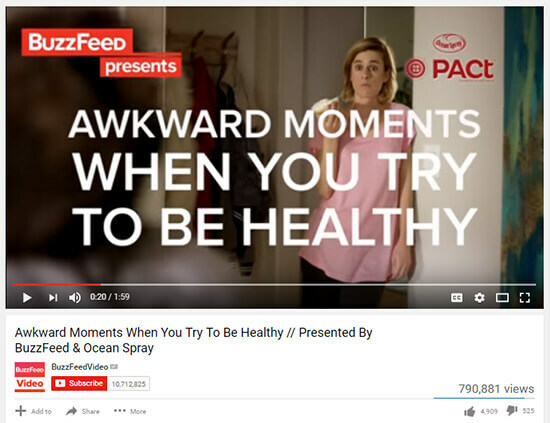 Ocean Spray partnered with BuzzFeed to create a relatable and funny video about what people might experience when they’re begin to live a healthy lifestyle. The video was geared towards promoting their new Pact Fizzy range of sparkling water. Although it was a sponsored video, the story was something that viewers could relate to easily and the video managed to get nearly 800,000 views in just three days. Using these tips, you should be able to optimize your social media videos for better performance. Always remember that your videos need to captivate the audience right from the start. Make sure all aspects of the video are designed to grab their attention immediately, from thumbnail to opening line and scene.